Cooking is not only the driving force behind humanity’s evolution, but it is also one of the world’s greatest art forms. While much of cooking comes from preparation, food safety, and planning your mise-en-place, it takes an artful hand to make really spectacular and delicious dishes. 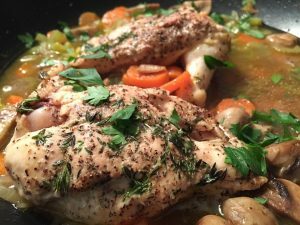 Not everyone is a natural cook, but that’s okay—there are many resources on the Internet for learning how to cook better. One of these ways is through free conferencing over video services: this way, cooking classes can be taught anytime from anywhere. Whether you are a beginner or an experienced chef, practice always makes perfect. 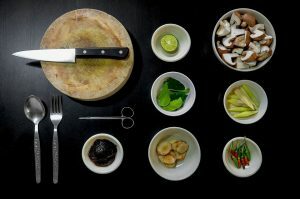 For instructors: FreeConference.com has all the tools you need to host a useful, informative cooking class session. For learners: get your knives sharpened and get ready to learn how it’s done! Learning to cook well takes a lot of practice and a bit of patience—some professional mentorship never hurts, either. Cooking videos are useful, but often times it is a pain to track back to a particular step, method, or talking point. Especially if you’re in the middle of cooking and your hands are covered in food material or you are vacuum sealing your food at the same time, read about best and top rated vacuum sealers and buy your own or learn how to seal your food. Having an instructor teach in real-time helps this by providing instant feedback and advice—sometimes one crucial mistake can ruin an entire dish, so it is always important to be accurate with the recipe and its preparation. Instructors can also offer various other kinds of advice—for example, the best and worst times of year to buy a kind of produce, or tips for keeping food longer. Experienced instructors likely have spent a lot of time in professional kitchens or cooking at home, so it pays to listen to them! Since FreeConference.com works on any device with a browser, you can even use your smartphone and Wi-Fi connection to demonstrate your dish to see if you did it right. No more clunky computers to carry into the kitchen! Show the world your culture’s cuisine! Your cooking speaks volumes about yourself and your culture—let your food do the talking! One of the most beautiful aspects of the culinary arts is its worldliness—different cultures everywhere cook ingredients differently, and drawing inspiration from various sources can spark new spins on classic dishes, “fusion” style cooking, or new recipes entirely. For example, indigenous people in Mexico were the first to domesticate corn (maize), and this discovery has changed the world of nutrition ever since. Same goes for Japanese cuisine’s introduction to America in the 20th century, and the current “Asian fusion” craze happening in many restaurants around the world. Whether your method is a generation-spanning family recipe, a cultural staple (such as borscht or sushi, for example), or just a tasty concoction, it deserves to be shared. Instructors: show the world what your culture’s food has to offer! Again, cooking varies from extremely easy to difficult and painstaking—no matter how difficult your dish is, it always helps to get some professional advice. Finding a cooking mentor can help you save money, enjoy your cooking more, and help you discover countless new techniques and dishes. Who knows? Maybe you’ll find your next cooking muse over FreeConference.com.